ESL One Cologne 2015 the world's biggest and most watched Counter-Strike: Global Offensive event to date! 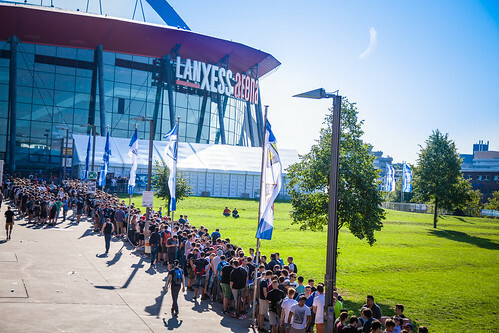 Last weekend, the LANXESS Arena in Cologne - Germany’s largest indoor arena - became home to the world’s biggest and most-watched Counter-Strike: Global Offensive event. With over 11,000 visitors flocking to arena each day and millions more tuning in online, it was a fitting way to celebrate ESL’s first standalone CS:GO event. Over 27 million unique viewers watched the tournament on Twitch for almost 34 million hours (nearly 3,879 years!) between them, and at its peak the event was being followed online by over 1.3 million concurrent viewers - an increase of more than 30% on the last ESL One Counter-Strike event five months previously and a new record for both ESL and the game itself. 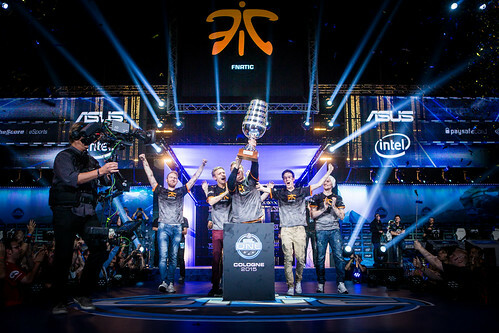 It was the Swedish Fnatic who defeated Frenchmen EnVyUs the grand final, thus taking home the lion’s share of the event’s whopping US$250,000 prize pool as well as their third Counter-Strike: Global offensive major title - a new world record - and first back-to-back major win. Following ESL’s announcement of its partnership with WADA and NADA to create and implement an anti-doping initiative for esports, NADA’s prevention program was presented to players and visitors during the event. Randomized anti-doping tests were also conducted during the ESL One Cologne 2015, which returned negative results for all tested players. ESL will continue to implement this newly established initiative for all events in the ESL One series. The next ESL One event is ESL One at New York Super Week on October the 3rd and 4th, which see some of the world’s best Dota 2 teams clash at the Madison Square Garden Theater. For more information about ESL One visit the official website - we hope to see you in New York!